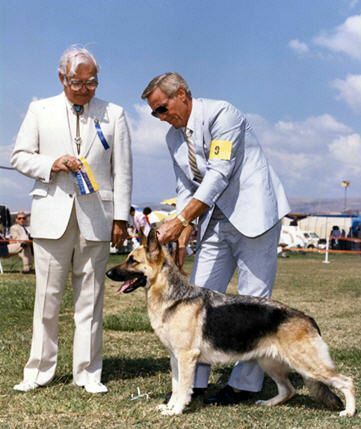 I started in show dogs in 1979 chosing German Shepherds as my first breed. 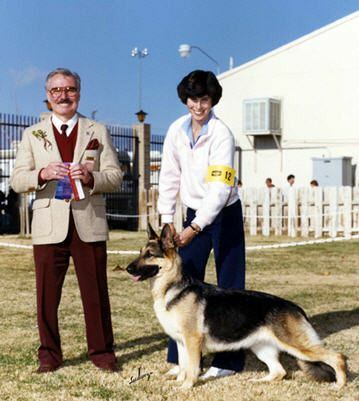 After a very shaky start I was finally able to aquire my first show dog, CH. 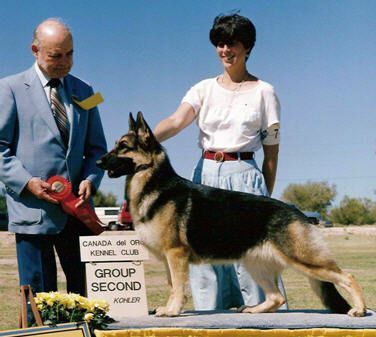 Hoedown of West Wind, ROM from John & Doris Rossini. 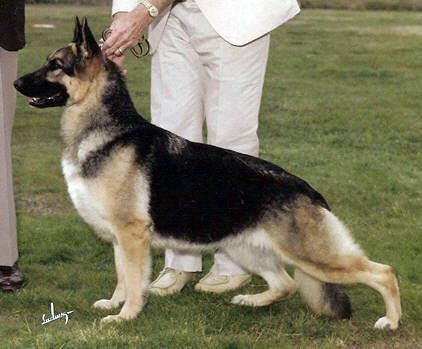 I had met Hoedown as a puppy but it took almost a year to convince Doris that she should come to live with me. Hoedown turned out to be the best dog and best friend ever! 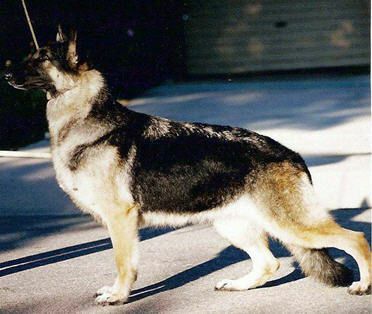 She was the dam to the many Rudolph's German Shepherds. 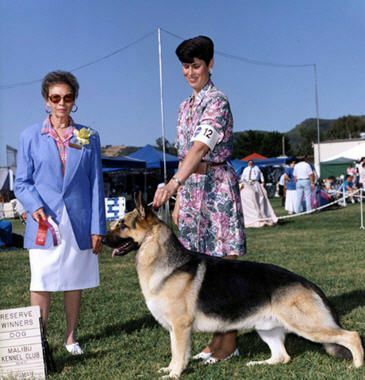 I enjoyed that breed and her many decendents for years. I miss them in the house today.